a) Invoices for timetabled private lessons are distributed at the beginning of each term. b) Payments can be made by Cheque or Cash. c) Any cheques returned unpaid will incur a £7.50 handling charge. d) WSD reserves the right to refuse payment by cheque if this form of payment has been abused in the past. e) We reserve the right to suspend your child's classes and withhold Examination and Festival entries and results until any overdue payments have been received. f) Statements on unsettled accounts are emailed on the last Saturday of the term. g) All payments for uniform must be received before the order is placed. h) Late payments will incur an administration late payment charge. Sibling discounts. The first child is the child who attends the most classes. Third child discount is on application and at the discretion of the principal. a) Credit Notes are issued to for any costumes paid for and returned to WSD at the principals request. b) Fees are not waived in respect of family holidays, school trips, school exams or short term sickness or injury. c) Instances of long-term sickness or injury will be addressed on an individual basis. Timetabled Classes are invoiced in full at the beginning of the term. Invoices for Examinations and Festival Entries are distributed when the student is ready for entry. a) All Exam Practice Invoices must be settled within 10 days of the Invoice Date. b) Invoices unsettled after 10 days will be re-issued with a 5% surcharge added to them. a) If a pupil wishes to give up a class WSD must receive written notice 8 weeks prior to the commencement of the term for which notice is being given. b) Absence of notice or late notice for exceptional circumstances will be addressed on an individual basis. c) In the event of a pupil leaving WSD with fees still outstanding, WSD reserve the right to pursue recovery of the debt by all legal means including court action. a) Occasionally it is necessary to temporarily change the venue of a class, or postpone it to a later date. Where this occurs WSD will try to notify Parents either by notice board, website, letter, phone or word of mouth. b) We reserve the right to cancel any classes anytime up to and including the date the class starts. Should this occur we will endeavour to give you as much notice as possible. a) All teachers are DBS checked and insured and are fully aware of our child protection policy. (available on request). 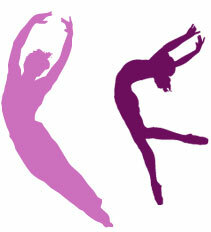 However, due to the nature of teaching performing arts sometimes it is necessary to correct positions physically. This is always conducted with the utmost care and professionalism. b) Any changes to these Terms and Conditions will be announced on the venue notice boards. a) WSD do not accept responsibility for loss, damage or injury arising from errors or omissions on the registration form whether completed by you or the person in charge of your child at the time of enrolment. b) WSD do not accept liability for death or personal injury to any child attending class, with the exception of such injury being caused by negligence or default of any member of our staff or any other default on our part. c) WSD do not accept any responsibility for loss or damage to personal property. d) WSD do not accept responsibility for any loss or expense due to circumstances beyond our control including, transport, fire, weather and other such actions. e) WSD is only responsible for students while they are in their class. Children cannot be supervised whilst they are outside class. a) These terms and conditions constitute an agreement between you and us in connection to classes or any services superseding any prior agreement. b) Attendance at class is deemed to be acceptance of the current Terms and Conditions. c) It is the responsibility of the Parent or Guardian to notify WSD of any illness or injury that may affect the child's participation at class. d) It is the responsibility of the Parent or Guardian to ensure that we have the correct details for you and your child and keep us updated of any changes to health. e) It is the responsibility of the Parent or Guardian to regularly read the website notice board or notice board at each venue that your child attends in order to be fully aware of all upcoming events. f) In the event that we consider you to be in breech of these terms & conditions or that your child is disruptive to other pupils or staff, teachers or venue staff, we reserve the right to exclude your child from any activity within WSD. g) WSD hire premises from Third Parties; therefore all WSD Staff, Parents, Guardians and pupils must abide by the codes of conduct as set out by those Third Parties. Photographs and video footage of pupils taken by WSD may be used on our website, Facebook page, Twitter and Instagram and for publicity purposes. If you do not wish your child's image used for these purposes you must inform WSD in writing. As a member of the Wightmore School of Dance you agree not to approach other students/parents with the view of encouraging them or procuring them to attend dance/performing arts function/activities and alternatively dance classes of whatsoever nature being held by you or your principal for which a fee (however described) is payable.